During WW2, the ICRC Central Prisoners of War Agency serves as an intermediary between belligerents. Among its duties: the transmission of correspondence. This one is addressed to a wife to her husband, based in Dakar. 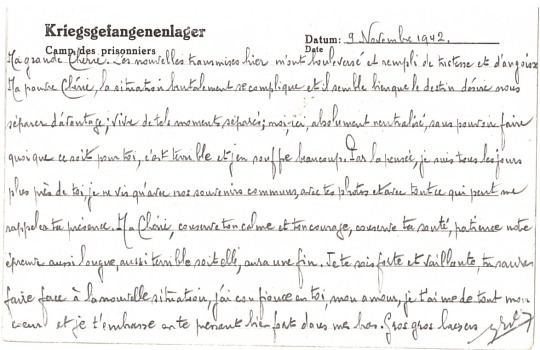 French prisoners, captured in 1940 will for most part remain in captivity for 5 five long years. Their separation with their spouses or fiancées is cruel. 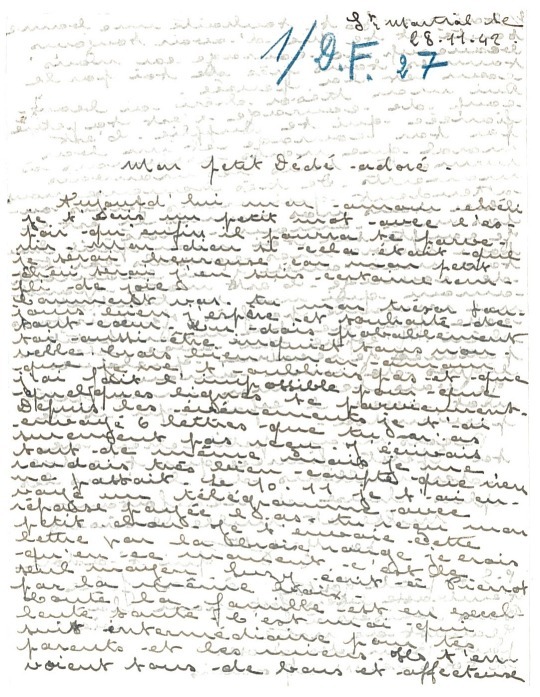 Over the duration of the War, the CPWA transmits over 20 million of letters and postcards to prisoners of war or civilians detainees. 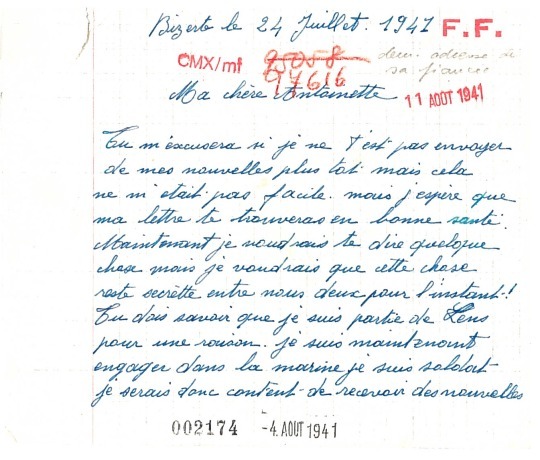 Starting from 1st January 1941, letters and postcards addressed to prisoners of war are to be written on special forms. The latters are then sent directly by the prisoner himself. 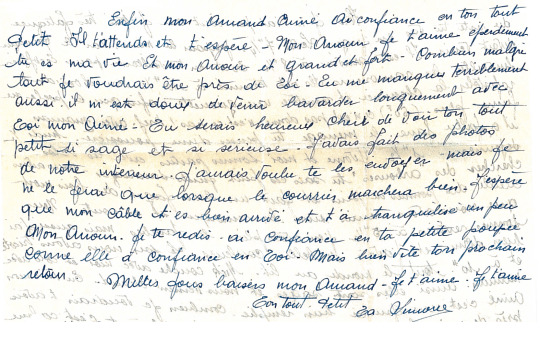 This one for example, was written by a prisoner from Oflag IV D and addressed to his wife living in Casablanca. It was shortly after the Allied landing in North Africa and the bombing of the town. 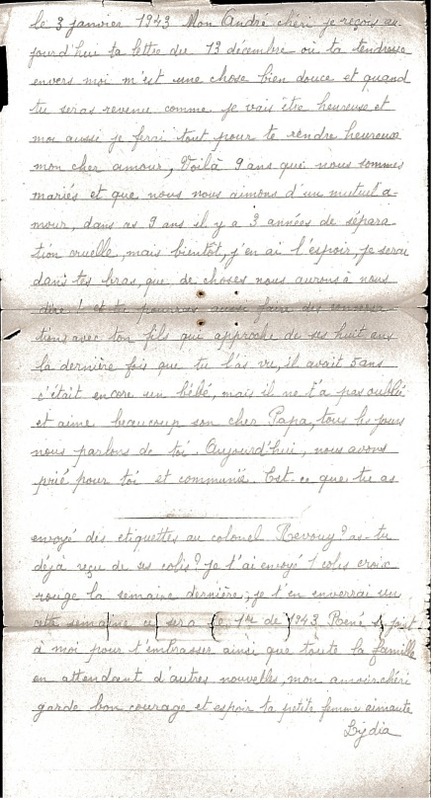 The following letter was stapled inside the military passbook of a French prisoner of war detained at Stalag VIII in Sagan. Maybe he was trying to keep it hidden from prying eyes. Unfortunately, the passbook was confiscated by German authorities and never given back. 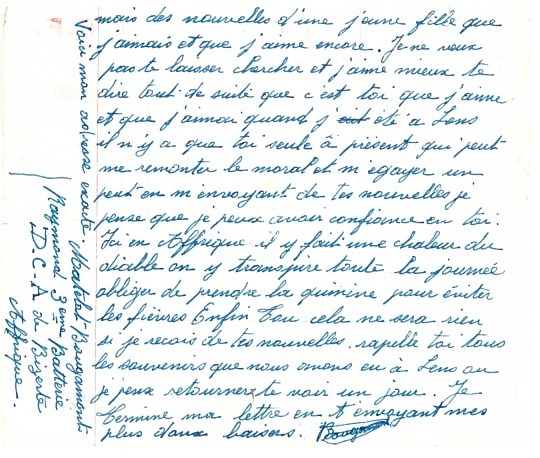 The letter, written by his spouse is dated 3 January 1943, husband and wife have been separated for 3 years now. And war is far from over.